If you haven\'t tried mole sauce, I recommend you try it. It\'s a different flavor combination, and difficult to describe. But this version is quite delicious and I think you will enjoy! Place the chicken thighs into the base of the slow cooker and add the chopped onion, crushed tomatoes, shaved chocolate, ground cumin, cinnamon, chipotle chili powder and garlic powder. Stir the sauce gently, set the slow cooker on low and cook for 8 hours. Once finished cooking, shred the chicken with 2 forks and mix into the mole sauce. Season with salt and pepper to taste. 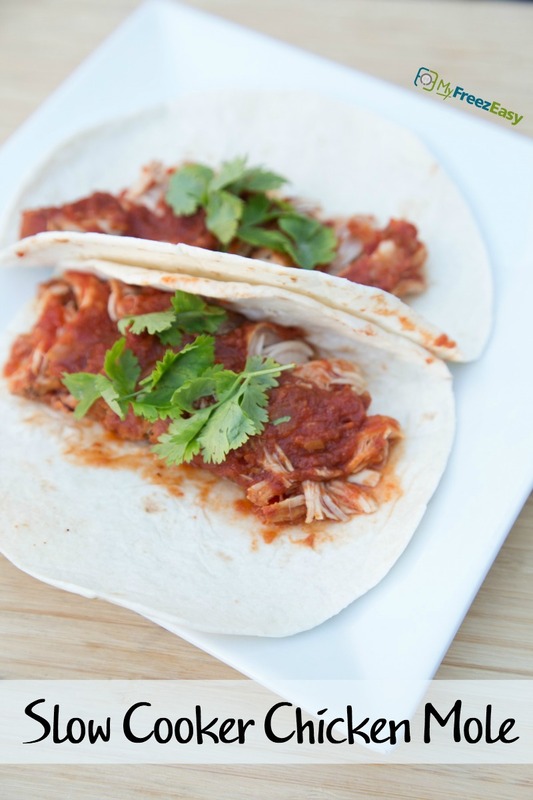 Spoon the shredded chicken into tortillas to make tacos. Top with chopped cilantro as garnish. 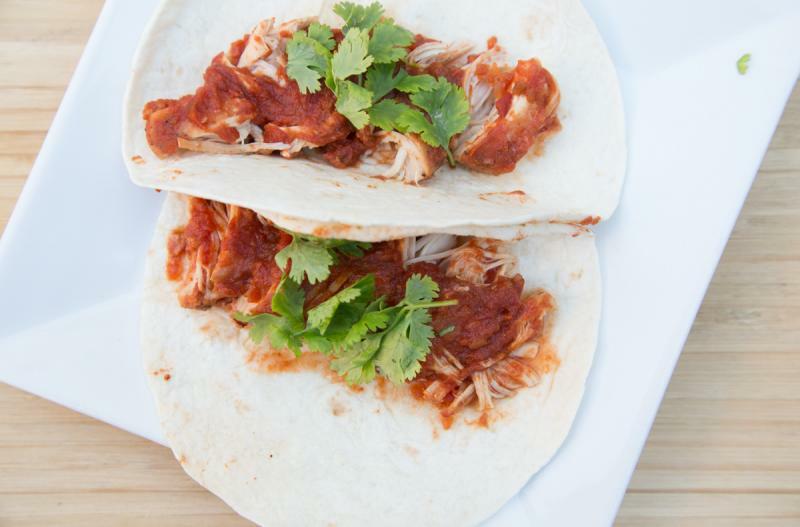 Serve Slow Cooker Chicken Mole as tacos with side of veggies. Shave 4 oz. bittersweet chocolate. Look for the bittersweet chocolate squares on the baking aisle. Place on cutting board and carefully shave them with sharp knife, before adding to sauce. Thaw and slow cook on low for 8 hours. Once cooked, shred the chicken with 2 forks and serve in flour tortillas with a side of veggies.